Posted on November 19, 2013 by Satej B. 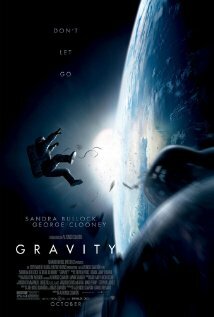 Recently I watched the movie Gravity in which Sandra Bullock and George Clooney are the main characters. In the beginning Sandra and George are in a space station. They are just doing routine check ups on the ship until they get a warning. The warning says that a foreign satellite broke and pieces of it are moving rapidly across the atmosphere. It was going to hit them! Sure enough it hits the ship and SPOILER ALERT—- kills George and another guy on the ship. Sandra is the only survivor, but does she have the equipment to get home? Will she ever see her home again? I personally thought that this movie wasn’t dynamic enough. Example, in the trailer it was full of action, but the movie was filled with action for 15 minutes. The rest of the movie after the ship wreck was very dull and boring. But many people older than me thought this movie was very engaging and fun. All I know is it didn’t appeal to me. I wouldn’t say don’t see it. But I would say do not waste your money to watch it in theater. Just wait for it to come on dvd. I think many people of my age group, 7-15 years, would find this movie to be boring, because most people my age like action. But is you are not the total-action type or the Avengers kind you might have an interest in watching this movie. Fourteen-year-old Jason accompanies his father to the annual reunion of long-time science colleagues at the Marshall Space Flight Center in Huntsville, Alabama, and finds himself involved in a dangerous and complicated mystery. In a future that embraces humanity’s desire to explore and exploit the Solar System, raiding pirates have managed to hide their enormous strange base somewhere inside it. Space Pilot Connor Grant is about to learn just how immense it can be out there. This entry was posted in Book Lists, Movies & Multimedia and tagged science fiction by Satej B.. Bookmark the permalink.